We had such a great time on our first Oz Adventure that we've decided to return again this year and this time drive from Perth to Adelaide crossing the Nullarbor Desert. This is approximately 1700 miles which is similar to driving from the UK to Moscow. The big difference this time is that we've bought a campervan (Toyota Hiace Hi-top) out there which is much the same as the one we hired last year. It's so much more exciting having your own campervan with you. From Perth we will retrace our footsteps to the south coast but going on further than Albany this time to Esperance. From there we'll go up to Norseman which is at the beginning of the Nullarbor Plain. 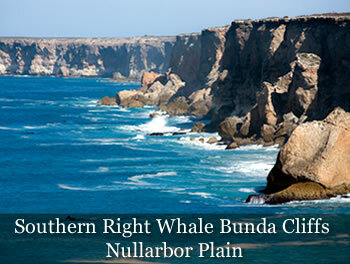 The Nullarbor is a section of land between Norseman in Western Australia and Ceduna in South Australia. It is the worlds largest single piece of limestone and occupies an area of 77,000 square miles. 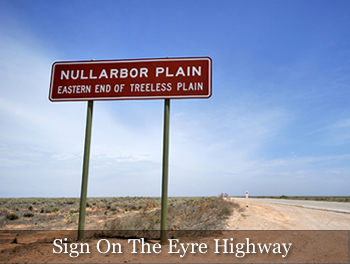 The word Nullarbor means 'no trees' in Latin and the crossing is one of the worlds legendary road journeys. The only road across is called the Eyre Highway which was named after John Eyre who in 1841 barely survived thirst and hunger to make the first east to west crossing of the continent. It is one of the hottest, straightest and lonliest stretches of road in the world. John Eyre described the plain as a hideous anomaly, a blot on the face of nature, the sort of place one gets into bad dreams but it's also a timeless and unforgettable land. As usual we've got no set plans (no doubt things will change as we go along) but some of the places we hope to visit after Norseman are Head of Bight, Streaky Bay, Cocklebiddy, Port Augusta and the spectacular Bunda Cliffs after which we'll spend time around Adelaide and hopefully visit Kangaroo Island. We'll fly home from Adelaide leaving our campervan in storage there and ready for 'Our Oz Adventure 3'! A quote from one guide book says 'This is one of those roads that every traveller should do at least once in their lifetime'. We can't wait to get started and obviously we'll keep you updated as usual.